Hello everyone! This week we will be heading to EGX Rezzed in Tobacco Dock, London, which runs from tomorrow (Thursday 4th) until Saturday 6th April. 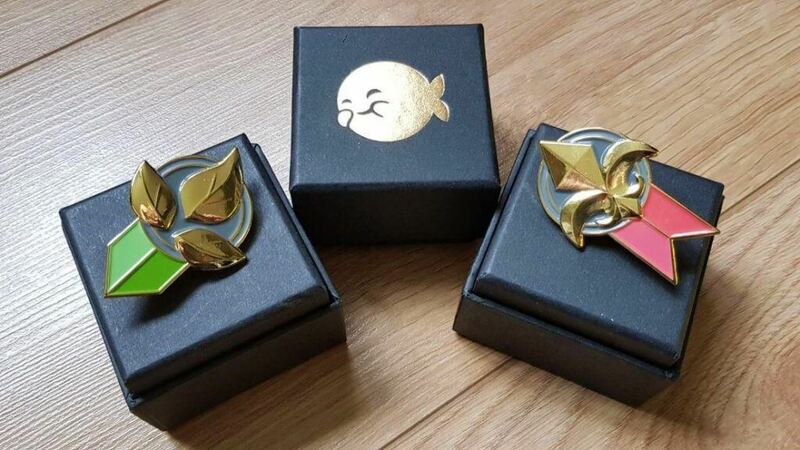 We’ll be showing off Wargroove, Timespinner, Pathway, Inmost and Eastward, and as always we’ll be armed with some goodies to giveaway, like these Wargroove faction pins! If you’re in the London area and attending we hope to see you there! Pathway is a strategy adventure game, developed by Robotality, featuring turn-based combat and unique story encounters set in the 1930s great desert wilderness. Adventure into the strange unknown, outwit your enemies, raid occult tombs and make tough choices in a procedurally generated grand pulp expedition! Pathway will be coming to PC, Mac & Linux soon this year! Wishlist it on Steam here. Wargroove, developed in-house by Chucklefish, is a turn-based strategy game for up to 4 players! Choose your Commander and wage turn-based war on battling factions. Design and share maps, cut-scenes and campaigns with easy-to-use editors and in-depth customization tools! Wargroove is out now on PC (Steam & Humble), Xbox One & Nintendo Switch. Coming soon to PS4! Travel back in time to change fate itself, in this beautifully crafted story-driven adventure, inspired by classic 90s action-platformers and developed by Lunar Ray Games. Join timekeeper Lunais on her quest for revenge against the empire that killed her family, using time-bending powers to explore a vast, connected world. Timespinner is available now on PC, Mac, Linux (Steam, GOG & Humble), PS4 & PS Vita (cross-buy). Inmost is coming this year to PC & Nintendo Switch. Wishlist it on Steam here! Eastward is an adventure game developed by Shanghai-based Pixpil with RPG elements, set in a beautifully detailed decaying world, where society is starting to collapse as the human population shrinks to an all-time low. As the world around falls to ruin, you play as a hardworking digger John, who must guide a mysterious girl named Sam through dangerous decaying cities, inhabited by strange monsters, and even stranger people! Inspired by 90s Japanese animation, the visual style of Eastward has been brought to life using a combination of a modern, innovative 3D lighting system and a rich retro-pixel artwork.